Hi, you can walk directly from Asia Jaya LRT to Jalan 51A/223. That's the fastest way. It should be about 15 minutes. Need to get to batu caves from asia jaya, where should I transfer to KTM? Hi, you can take LRT to KL Central, then take KTM to Batu Caves. Hi, I need to go from Asia Jaya to Subang Jaya (inti college), what would be the best route/what trains should I take? Hi, you can walk to Federal Highway and take RapidKL U67 and stop at Persiaran Kewajipan and walk to Inti. Hi! Can you please advise me how to go to MAHSA University that is situated at Jalan Elmu off Jalan Universiti, 59100 Kuala Lumpur from Ayer Panas, Kuala Lumpur? TQVM! Hi, you can take RapidKL U33 from Ayer Panas to Masjid Jamek LRT, then you can take LRT to Universiti station. Then, take RapidkL T635, Metrobus 12, or RapidKL U85 to Mahsa University. You can also go to Taman Jaya LRT station and take PJ02 shuttle to Mahsa. 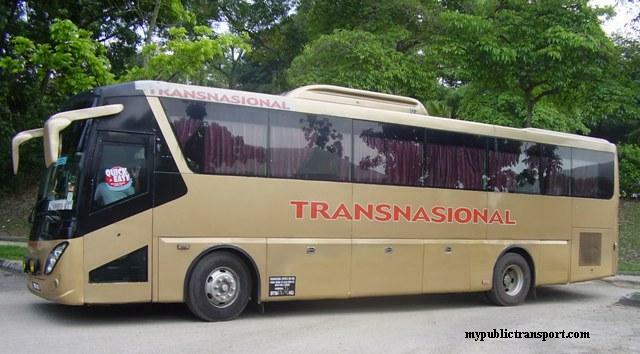 This shuttle is free provided by MBPJ. Hi, how can i go to INTI subang jaya and also sunway pyramid from asia jaya? Hi, you can take LRT from Asia Jaya to Kelana Jaya, then take RapidkL U623 to Sunway Pyramid and Inti (stop at Kemajuan). You can also take RapidKL U63/U67 to Sunway Pyramid from Asia Jaya near Federal highway. Hii,i need to go from sumway to mahsa university,how to do that?and where to stop? 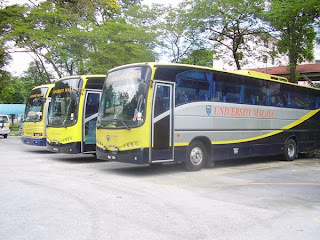 Hii,I need to take the bus from sunway to mahsa university,where to take the bus? And where to stop? Hi, you can take RapidkL U63, U67, or Metrobus 10, 13 to UM Hospital near Federal Highway, then walk up to Jalan Universiti to Mahsa University. hye. i'm not used to transportation in KL/Selangor. can u please guide me on how to go from uitm shah alam to masjid jamek lrt station using public transport? also with the fare. thank u. hope to hear from u soon. Hi, you can take RapidKL U80 directly from UITM to Kotaraya, then you can walk to Masjid Jamek LRT station. Please advise me from Asia Jaya Station to Sinchew HQ. 1. Take T628 from Asia Jaya LRT to Sinchew but the bus only comes every 40 minutes. 2. Take RapidKL U85 from Taman Paramount. 3. Take Metrobus 12, RapidKL U85, T635 from Universiti Station. Bus most frequent. 4. Take PJ City Bus from Taman Jaya , free and bus depart every 20 minutes. Hi, how to go to tyden engineering sdn bhd seksyen 51a pj from Asia Jaya? Hi, you can take RapidKL T505 from Taman Jaya LRT station to Penchala Road, then walk to tyden engineering. hello, how to go wisma academy from lrt Asia jaya? Hi, you can take T628. 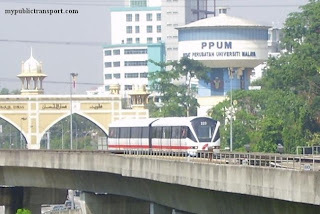 Hi, how to go from Asijaya LRT 2 MASHA university? Is dere any bus facility? Hi, the fastest way is by taking T790 from Universiti LRT Station. I need to go SS2 from Jalan SS 9a/14, Seksyen 51a. What are the bus routes and travelling time? Hi, you can take T785 to Taman Paramount station, then walk to Jalan 21/1 and take RapidKL 780 to SS2. Hi, you can go to Federal Highway and take RapidKL 771. Hi, can you pls let me know how do i get to Sunway Pyramid from Mahsa University? Hi, from Mahsa Jalan Universiti, you can take any bus to Federal Highway (all of them go to Federal Highway), then take RapidKL 770 or 771 to Sunway Pyramid. 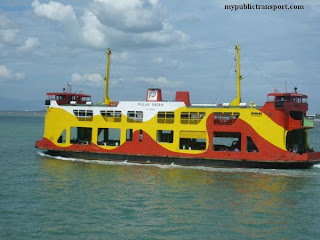 i would like to go googolplex from asia jaya any bus can take me to there? Hi, you can take the free PJ02 shuttle from Taman Jaya LRT station. You can also take T790 from Universiti LRT station. It is located at Jaya One. Hi, please take RapidkL 770 or 771, stop at Federal Highway and walk up to the LRT station. Which bus is going to mid valley from asia jaya lrt station? Hi, you can walk to Federal Highway and take RapidKL 770, 771 or 701, 710 to Mid Valley. how do i get to sunway college if i'm at asia jaya and back ? Hi, you can take RapidKL 770 or 771 from Federal Highway to 3C Children Complex and then walk to Sunway College. You can also take BRT to SunwayU-Monash Station from Setia Jaya. The return journey is just the opposite. How can I go to Taman Jaya LRT from Sunway pyramid ? Hi, you can take 783 from Sunway Pyramid to Kelana Jaya LRT, then take LRT to Taman Jaya. 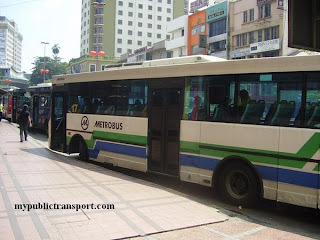 Hi, is there any bus that can go to Amcorp Mall from Sunway Pyramind directly without changing any stop? You can take RapidKL 770 or 771 to Jalan Utara, then walk to Amcorp Mall, but you need to walk for about 1.5km. how can I go to nu sentral from uitm shah alam and how long is the journey? how to know the Rapid's schedule (bus U80, on weekend), do you have any link to it? Hi, you can take RapidKL 750 (every 15-20 minutes). hai. im going to best western pj. i was told that the nearest lrt will stop at asia jaya. 1. from asia jaya how can i reach the hotel. 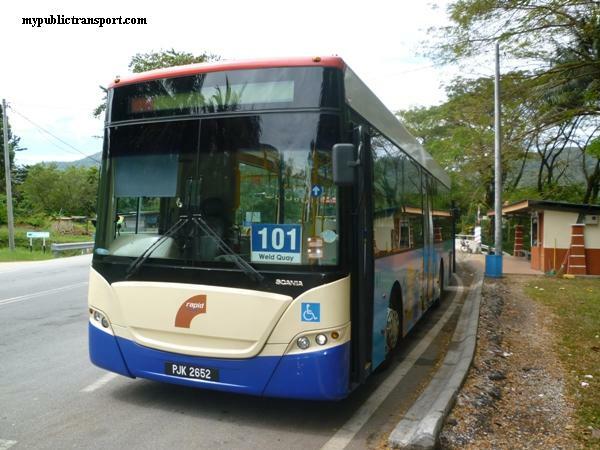 Hi, you can take T787 from Asia Jaya to Best Western and from Best Western to INCEIF near UM. Which bus stop and what bus can go to Asia jaya from pyramid area ? Hi, you can take RapidKL 770 or 771 and stop at Jalan utara. Hi, you can take 783 from Sunway Pyramid to Kelana Jaya LRT, then take 802 to KDU college. Hi, how to go back to sunway pyramid from KDU college? Which bus stop should I use from KDU? Hi, you can take T784 to Taman Bahagia LRT Station, then take LRT to Kelana Jaya, then take 783 to Sunway Pyramid. Hi, i need to go to asia jaya LRT from sunway pyramid, which bus should i take and from where? Hi, you can take 770 or 771. Hi, you can take the free PJ02 shuttle or RapidKL 780. 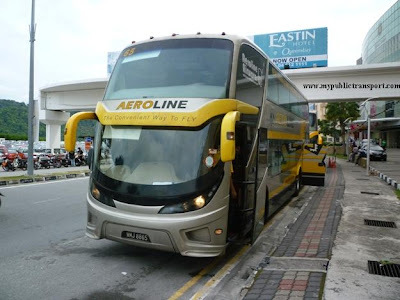 Which bus should i take to go Klang from LRT Asia Jaya? Hi, you can go to Jalan Sultan (Using LRT or PJ01/PJ02) and take 700, 701 or 710 to Klang. How to go to LRT Asia Jaya from BAC? Hi, from BAC PJ, you can just walk to the LRT station. Hi, you can take LRT from Wangsa Maju to Asia Jaya, then walk to Brickfield College PJ. Hi is there any bus to klang at Asia jaya station? Hi, you can walk to Federal Highway and take 700, 701 or 710. Hi. I am not sure about transportation in Selangor / KL. Can I know how to go to Nestle Petaling Jaya from Asia Jaya by public transport? Hi, you need to take LRT to Taman Jaya, then take T640 to Jalan Penchala and walk to Nestle PJ. May I know how long does it takes for walking? It is not so convenient though, you may need to walk up to 15-20 minutes. Hi. May I know how long does it take if I need to walk from KTM Shah Alam to Yeo Hiap Seng Sdn Bhd at Shah Alam? Hi, it is about 10-15 minutes. May I know how to go to one utama, sumway pyramid and cheras leisure mall from asia jaya lrt station by bus or lrt? 2. Take 770 or 771 to Sunway Pyramid. 3. Take LRT to Tasik Selatan (transit at Masjid Jamek), and take T403 to Cheras Leisure Mall. Hi. Can u advised me how to go to this address. Jalan Kilang 51/205, Sec 51. Which lrt or ktm station should I stop at? Hi, since now the bus cannot stop at Ford, you need to take T640 from Asia Jaya LRT to Jalan Penchala and then walk to Jalan Kilang 51/205. How far I need to walk from jalan penchala to jalan kilang? Hi, you can take RapidKL 770 to Asia Jaya, then take LRT to Taman Bahagia, then you can take PJ04 to Jalan 51A/241. Hi. I want to take bus to jaya33 from lrt asia jaya. What bus should i take ? N how about from jaya33 to lrt asia jaya ? How frequent these bus everyday ? Hi,you can take PJ01, PJ02, or 780. They are very frequent so you can get them like every 10-15 minutes. 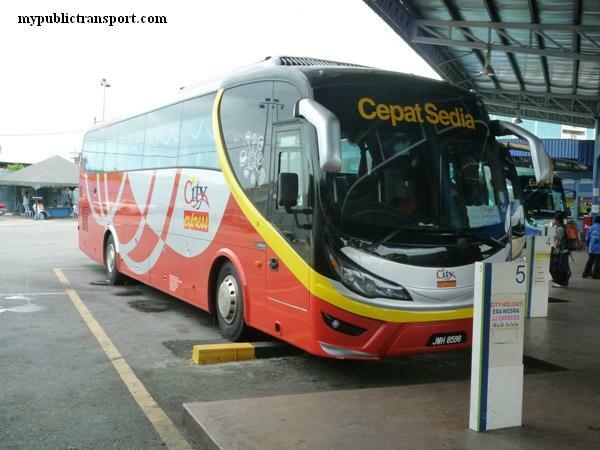 Hi please advise how to go to lucenxia sdn bhd by bus?from where should get bus? Hi, you can take T640 from Taman Jaya LRT station. Hi . I want to go to phileo damansara from jaya one shopping mall. 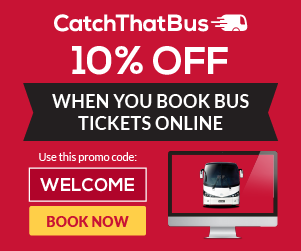 Which bus should I take and how frequent is the bus ? Hi, from Jaya One, you can take PJ01, PJ02 or T786 to Asia Jaya LRT, then take T787 to Phileo Damansara. 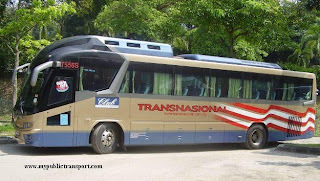 From Phileo Damansara, you can directly take T787 to Jaya One. It is about every 30-45 minutes. I will be from lrt subang alam..
Hi, you can take LRT to Kelana Jaya, then take RapidKL 802 to 1Utama, then you can take 801 to Damansara Perdana. 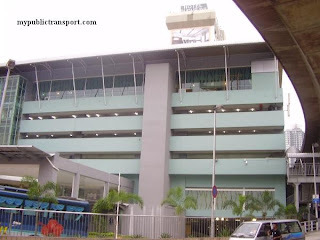 May I know how to go to Taman Paramount from Asia Jaya LRT Station by public transports? Hi, you can take the LRT. Hi. May I know around usj/ss13/ss14 area... is there any way I can reach Mac Food Service Sdn Bhd by public transport? If yes, where should I take the bus? Hi, Mac Food itself is located in SS13, so you can walk there. Hi how do I go to klang from Asia jaya ? Any bus to klang LaSalle school? Hi, you can walk to Wisma Thrifty and take Causeway Link 701 to LaSalle School Klang. Hi may I know how to go from kl sentral to jaya shopping centre at section 14? can you advise me how to go to Mid Valley from Hotel Armada PJ. By looking the map, is it should be Asia Jaya Station - KL Sentral - Mid Valley ? Hi, you can take 700,701,710. 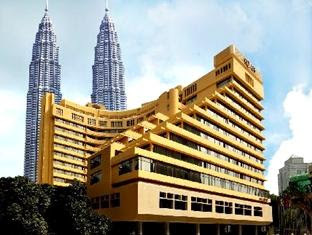 If I were to go to Eastin Hotel from Asia Jaya Station, just take T629 bus , I will reach my destination, is it correct? Hi, yes, and now T629 is known as T787. hello.. how to go office campbellsoup southeast asia sdn bhd, off jalan kilang from lrt cheras..
Hi, you can take LRT to Hang Tuah, then take Monorail from Hang Tuah to KL Sentral, then you can take RapidKL 781 to Campbell Soup. Hi there, can I know the estimated duration from Asia jaya lrt station to kl sentral via lrt. Kalau saya dari Mentari Court ingin ke Avon PJ jln 51/219,bas apa yg saya perlu ambil? 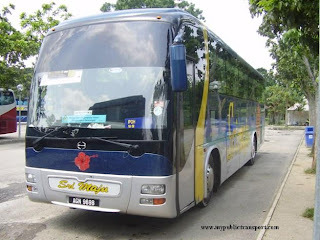 Atau ada ke bas yang lalu Safeguard jalan 51a/225..
Hi, bus is no longer allow to stop at Avon. You can take 771 to Seri Setia KTM (opposite), then walk to SS9A/14 and take T785 to Safeguard 51a/225. 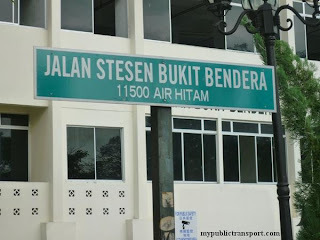 Boleh berikan jarak walking distance antara Seri Setia KTM ke SS9A/14? It is about 300m away. I'm from Shah Alam and using rapid U80, and i will stop at Asia Jaya (bus stop at federal highway).How to reach Pj Boutique Hotel at Jalan 8/1D.Could you advise me on how to go to the hotel from that bus stop? is there any bus to get that hotel area? Thanks in advance. Hi, U80 is now known as 750, you can stop at Asia Jaya Bus stop near Jalan Utara, then you can walk to the hotel. my location is damansara damai. which i want to go usj 1...could you advise me on how to take public transport? Hi, you can take T103 from Damansara Damai to Sungai Buloh KTM, then take KTM to Setia Jaya(transit at KL Sentral), then you can take BRT to USJ 7 station and walk to USJ 1.
hai.nak naik bas no berape kalau dari LRT Paramount ke Poslaju PJ Jalan 227? Hi, you can take RapidKL T785. selamat petang,dari lebuhraya persekutuan asia jaya nk pergi usj 19 ade bas x? Hi, you can take LRT from Asia Jaya to Wawasan. Wawasan is located at USJ 19. Hi, you can take 700,701,710 from Klang to Asia Jaya LRT. Boleh bagi panduan,berapa jarak walking distance dari LRT Asia Jaya ke Nationwide Express jalan 51a/222 & 225? Hi, you can take LRT from Asia Jaya to Wawasan, then you can walk to Subang Perdana Goodyear Court 10. Hi, you can take LRT to either Taman Paramount, Asia Jaya, Taman Jaya, or Universiti. 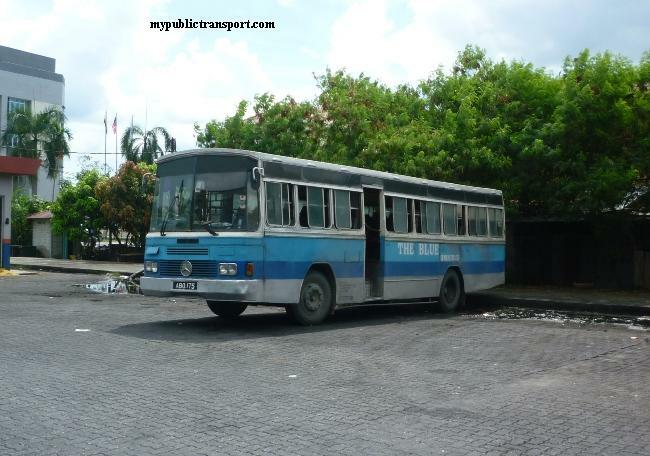 Then you can take the respective feeder bus T790. PJ01, PJ02, T787 to Jaya One. hello. i need to go to Pacific Engineering sdn bhd at Lot 30, Jalan 223, Section 51 - A, 46100 Petaling Jaya, Selangor. how can i go there from asia jaya lrt? and how long it will take by walking from station? Hi, you can take T785 from Taman Paramount LRT to Pos Laju PJ, then walk to Pacific Engineering sdn bhd. From Asia Jaya, it takes about 3km to walk there, is way too far. Hi, you can take 700, 701, or 710(58k), any of them also can bring you to Klang, they are about every 20-30 min. 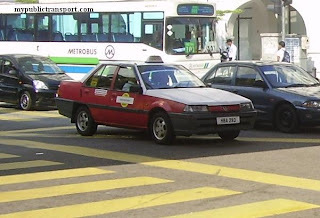 Hi, may i know how to go to 3 two square from lrt asia jaya ? Whch bus shud i take ? Hi, I wanted to go to Sunway Pyramid Mall from Asia Jaya LRT. Which bus stop (there is one near LRT stairs and one in the highway) should I wait and what bus number? Thank you very much! Hi, you can walk to Federal Highway and take 770 directly to Sunway Pyramid. If you dont want to walk, you can take LRT to Subang Jaya, then take t770, 708 or 771 to Sunway Pyramid. or you can take LRT to SS18, then take the free SJ02 smart bus. Hi, how do i go to SEGI College Damansara from Subang LRT station? Can i take the LRT to Asia Jaya station and board a bus to Segi Damansara? Hi, you can take LRT from Subang Jaya to Asia Jaya, then take 780 to Segi Kota Damansara. Hi, you can take 780 to Jalan Utara and walk to Asia Jaya LRT. Hi, you can take 700, 701 and 710.
hi, any bus from lrt taman jaya to lrt asia jaya? or can manage by walking? Hi, you can take PJ01 or PJ02, or take the LRT directly. Walking will be too far. Hi. I would like to go to 3 two square from Kelana Jaya lrt. is there any way for me to go 3 2 square directly from kelana jaya lrt? or I still have to come asia jaya? is need to come asia jaya, how do i proceed further to 3 2 square ? which bus? how many stops? Hi, you can take 780 from Asia Jaya LRT to 3 2 square.